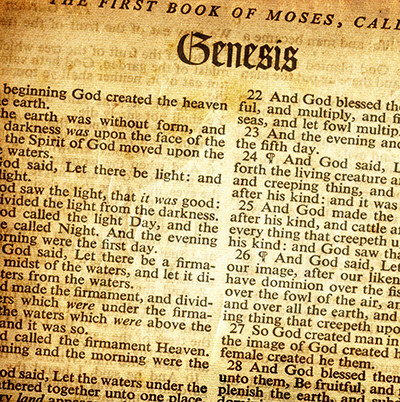 Is Genesis based on ancient religious texts? One of the most significant things Genesis does is it demystifies creation and historical narratives. Religious texts of other ancient religions have an account of creation, the fall, the flood, and the Tower of Babel. But they tell them in terms of interactions between gods, rather than natural events. Genesis doesn't even give a name to the Sun and the Moon. It just calls it the bigger light and the lesser light. It's like saying there's a bigger lamp in the house and the smaller lamp, no need to worship the bulb. Other ancient religious texts go crazy over stars. Genesis barely mentions them. And it does that to safeguard people from worshipping them. In other texts, men are created to do dirty work for gods. In Genesis, men are created as friends of God, to rule over the Earth. In Genesis, God sends the flood because of sin. In other texts, gods get tired of overpopulation and noise. In other texts, gods are afraid of people trying to build the Tower of Babel. In Genesis, God says, "Let us come down, and see what those ants are trying to do." In Genesis, God wants to spare Noah. In other texts, gods accidentally miss one and are mad about not destroying him. And on the final note, ancient Egyptian writings had the concept of evolution. And since Moses, grew up with the best Egyptian education, he could've easily used evolutionary terminology to describe creation. Yet, he doesn't mention evolution. Genesis does not copy from ancient myths. Rather, it takes the events all ancient civilizations knew about, and tells them in a completely different way.